The Story: In this book Winnie the Witch and her cat Wilbur find Santa stuck in their chimney (why does this never happen to me!?). Santa is late delivering his Christmas presents so everyone has to lend a hand. 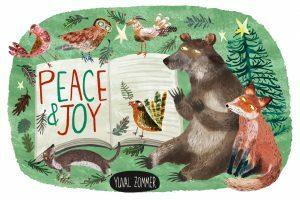 Why is Winnie and Wilbur MEET SANTA your favourite Christmas book? Well, firstly Valerie Thomas is great at telling stories. Secondly, Korky Paul is really good at drawing and colouring in! I think they must both be professionals. There are so many details in this book and you have to read it at least one thousand times before you see them all. 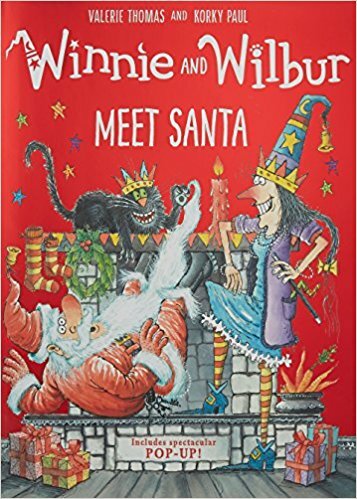 Another reason I like this book is obvious: Winnie and Wilbur actually manage to meet Santa! If you know me, you’ll recall I’ve found Santa incredibly hard to tie down. This year will be attempt number four. Wish me luck, and Santa if you’re reading this, can you please stop messing us around? 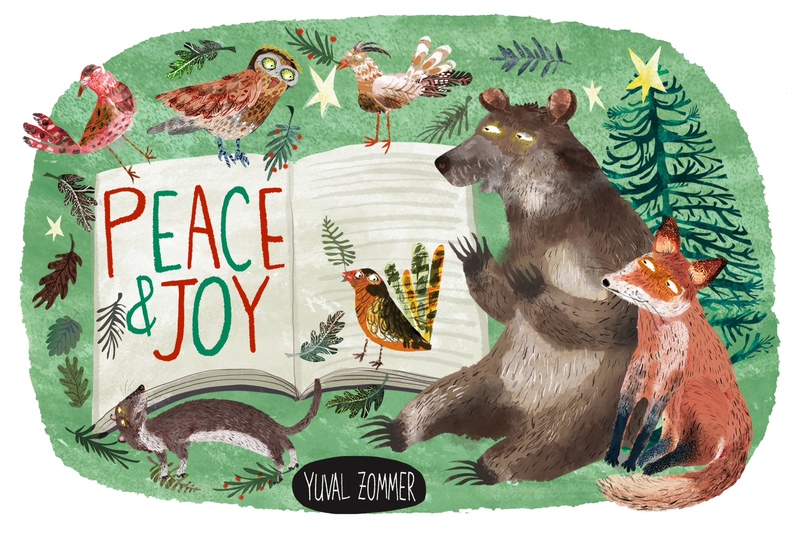 My favourite illustration in this book is a double page spread that shows Winnie’s house decorated for Christmas! There are so many lights and everything looks magically Christmassy. Actually, a lot of the pages in this book are like that, which is why I love it so much! 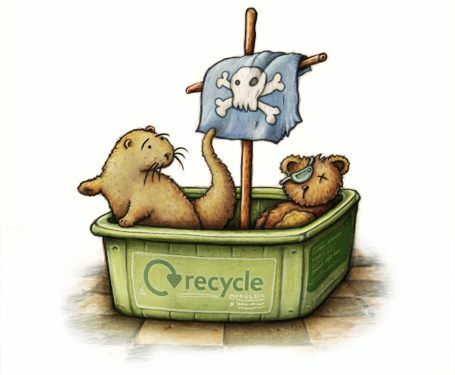 I’m Otter, but Otter Keeper (who looks after me) helped me write this because writing yourself is not as easy as it looks. My best friend is Teddy and my second best friend is Giraffe. I actually have several books published all about me. Sadly I don’t have a Christmas one, but I’m working on that. 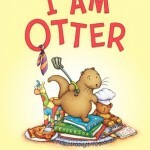 My favourite colour is blue, but sometimes it’s red, and apparently that is normal (I checked with Otter Keeper). I also run a toast restaurant in my spare time. Very good choice! We haven’t read this one, but the kids had a few Winnie books when they were little and they were all very entertaining. This one was published last year. We haven’t read it yet either.